Impacts of Chipko are still visible in the state after four decades. Women in the Himalayan villages hugged trees, braving the axes of loggers with government permits, and stopped the clear-felling of mountain slopes. This simple but effective way of protest that marked the Chipko movement and its protagonists has always intrigued me. Now that I am heading for the birthplace of the movement, a small town called Gopeshwar, anticipation and excitement sweep over me. The taxi I boarded from Rishikesh soon leaves the crowded plains behind and starts climbing the steep incline. The road bends and curves at every possible angle, offering glimpses of the mighty Himalayan range. I start getting goose bumps when I realise that guardrails are missing on portions of the road that clings to the edge of a cliff. About 10-20 metres below, the Ganga flows in the opposite direction with all its force. I try not to let any negative thought cross my mind and shift focus on the assignment at hand. This is no mean feat in a society where egalitarianism is almost absent. The movement has inspired eco-feminism in India and worldwide, but has it brought liberation to the women of Uttarakhand? How does the present generation relate to its forests? And has the government changed its attitude towards forests? All these thoughts keep popping up in my mind as the taxi crosses the Ganga at Devprayag and starts following the meanders of one of its headstreams—the Alaknanda. We pass a few hamlets nestled in the valleys created by its tributaries. Houses here are located halfway between the fields below and forests above. Bartwal leads me to a group of women, who are leaving for home after spreading manure on their fields. Among them is Kanta Devi, who headed the village van panchayat (forest council) twice since 2002. She tells me how the lives of women have changed for better since the village grew its own forest. “Earlier, women in the village would leave home around 4 in the morning and return by 11 am. These days they collect leaves, dropped twigs and grass from the new forest and spend more time with their children,” says Devi, who also plays an active role in anti-liquor campaigns.The landscape begins to change as we enter Chamoli district, bounded by Tibet in the north. Mountains become taller, forests denser and roads steeper. The sun is about to set when I spot Gopeshwar. There I meet Chandi Prasad Bhatt, the founder of the movement that swept Uttarakhand, then part of Uttar Pradesh, in the 1970s. The movement for the first time catapulted the environment into political discourse and has shaped the understanding of environmentalism in India. But Bhatt prefers to introduce himself as a worker of the Sarvodaya Movement that worked for universal progress. He asks us to take a tour around Gopeshwar and villages in the Mandal valley—part of the Alaknanda valley—the next day before he could explain the impact of the movement. Located at an elevation of 1,550 metres, Gopeshwar town, with a population of 100,600, spreads across the mountainside. Rows of houses and trees are neatly arranged along a steep, winding, litter-free tar road. 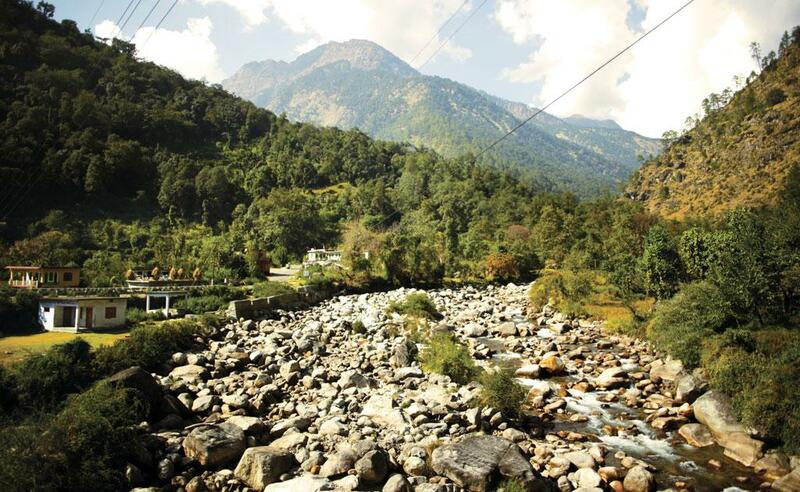 In fact, in a sharp contrast to most Indian villages, almost all habitations in the valley appear clean. “People here do not litter as they feel responsible towards nature,” says Bhupal Singh Negi from Gopeshwar, who participated in Chipko as a student and has since accompanied Bhatt in his mission. Just below the town is a village of 300-odd households, also named Gopeshwar. It is surrounded by a thick forest of banj oak (Quercus leucotrichophora), an evergreen tree native to the Central Himalayas. 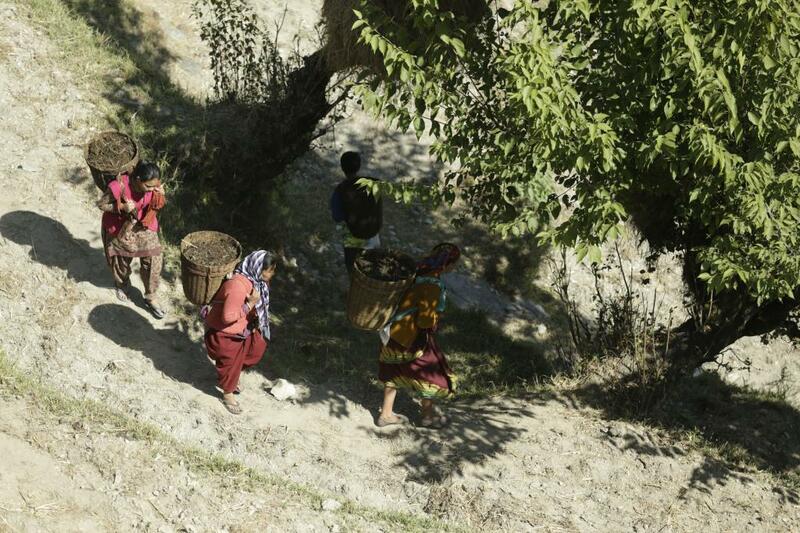 “The village women have raised this forest,” says Negi. Inspired by the Chipko movement, the women planted the saplings on the barren village common land in the early 1980s and formed a committee to nurture them. Today, none of them is alive. But the saplings have grown into 12-18-metre-tall trees and allowed several other trees, shrubs and grass to grow underneath. Negi says young women from the village now take care of the forest. They pool funds to repair the stone wall around the forest meant to prevent cattle from straying into it. Two of them take turns to guard the forest every day. “This forest now fulfills all our needs. No woman in the village has travelled to other forests in the past 25 years,” says Chandrakala Bist, a committee member. The passion for growing oak forests among the hill communities reminds me of what Anil Agarwal, the founder editor of Down To Earth, had mentioned in one of his articles: Oak leaves give rise to a nutrient-rich, water-absorbing humous. An oak forest, therefore, holds on to water for a long time and releases it very slowly, giving rise to perennial streams and rivulets. This is the reason hill village communities have come to be established around oak forests over the ages. Lal cites one more utility of oak forests: once oak took roots on the barren land, plants like malchhada, khinda and kunja regenerated on their own. Leaves of these plants mixed with dung act as a pesticide. On the way back we meet Kalavati Devi—the fierce leader of Bacher village who in the 1980s forced the government to provide electricity to her remote village, campaigned against alcoholism and fought against timber mafia. “Forest is like our child. We protect it with our lives, be it from timber mafia or fire,” says Kalavati Devi, now 63. 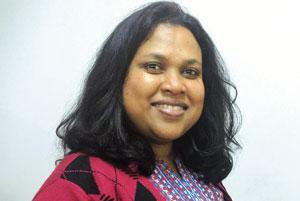 For the past four decades women have been heading the van panchayat. “We do not trust men with forests,” she says. This year, for the first time, Bacher has elected a man to head the van panchayat. 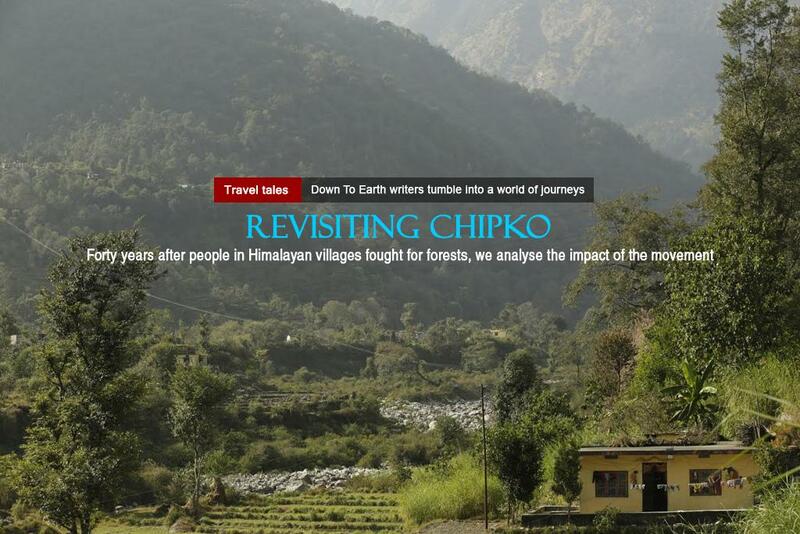 The impact of Chipko is palpable across the valley. A study by the Space Applications Centre of the Indian Space Research Organisation, Ahmedabad, in August 1994 shows that between 1972 and 1991, at least 5,113 ha of forest has been raised outside the reserve forest boundary and in the vicinity of villages, in the watersheds of Nagolgad, Amritganga (Balkhila), Menagad and Kalpaganga and other watershed of the Alaknanda. This is 9.6 per cent of the total watershed area. Of the forest raised 1,854 ha has been exclusively on the barren land of the villages. The impact of Chipko fades as we leave Chamoli. Slopes look increasingly bare as we pass through Pauri Garhwal and head towards Tehri Garhwal district. Vast stretches of chir pine dominate the landscape. At places deep gashes run up the sides of the mountains. Bhatt’s words ring in my head: “Only forest cover can prevent landslides.” At several places, farmlands are lying fallow. To understand the matter better, we visit Vijay Jardhari in Jardhargaon. Sarvodaya worker Dhum Singh Negi, who quit his government job to join the Chipko movement and went on a fast to save Advani forest, close to the Hemal river, feels sad that people in the region are abandoning agriculture and migrating to towns. “We are trying to make agriculture profitable for farmers by spreading the message of BBA. But people are leaving villages because of lack of educational and healthcare facilities,” he says. A major impact of the Chipko movement was that it prompted the Union government to amend the Indian Forest Act, 1927, and introduced the Forest Conservation Act 1980, which says forest land cannot be used for non-forest purpose. The same year, in another historical order, commercial green felling was banned in forests above the 1,000 metre altitude. “All these laws ensured conservation of forests but also disassociated people from forests,” says Anil Prakash Joshi of Gaon Vachao Andolan in Uttarakhand. Self-sufficiency of villages is one area where the movement has failed, admits Shekhar Pathak, a historian with in-depth knowledge of Uttarakhand and founder of People’s Association for Himalaya Area Research. People in the hills depend on forestry, animal rearing and agriculture. “We wanted to reconstruct the economic activities of people by providing them training in toy-making and temple crafts. This was the objective with which Van Nigam (forest corporation) was set up in the 1975. But its activities are now limited to felling and distributing timber,” says Pathak. However, he thinks, the movement is far from over. In Chamoli, DGSM continues to organise plantation programmes on barren land through eco-development camps. To reduce pressure on forests, it grows commercially important plants in a nursery at Bacher and supplies the saplings to villages. “The rate of survival of saplings planted by DGSM is up to 90 per cent, whereas the survival rate achieved in government plantations is 10-15 per cent,” says Pathak. DGSM has also introduced nutrient-rich fodder napier grass (Pennisetum purpureum) in the seven years in 23 villages across Mandal valley and is promoting iron ploughs. Tehri now witnesses a second wave of the movement under BBA and UJJS. In Dehradun, Chipko activists have set up Himalaya Action Research Centre that trains farmers in organic farming and micro-enterprises. As I leave for Delhi, I remember Bhatt’s words. Every village should have a gram van, the village forest. Research shows that a forest of 50 hectares can generate enough fodder in six months and help the village earn Rs 10 lakh a year. This is both economic and environmental gain. Local food: Eat at local dhabas. They serve freshly plucked wild vegetables and other local favourites, such as ragi (finger millet) or barley chapatti, kulath (horse gram) ki dal and jhangora (barnyard millet) ki kheer. Local festivals: People worship goddess Nanda Devi in a three-week festival, Nanda Devi Raj Jat, celebrated once in 12 years. The festival is prominent around Mount Nanda Devi and its sanctuary. Another festival, the Uttarayani fair, held on the occasion of Makar Sankranti in January, is used as a platform by social activists who set up camps in the fair ground to publicise their agenda. Love the engaging way you write. Adding onto this compliment, I want to say that there is a need of another Chipko movement but now not only in forests but everywhere to save even a single tree, not only in physical environment but in psychological domain, there is a need of another Chipko movement.